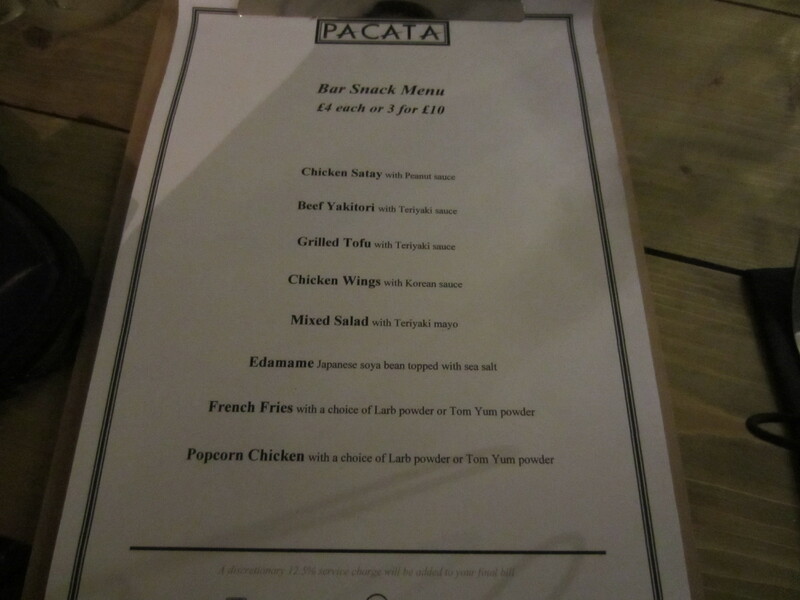 Pacata is a fusion pan Asian restaurant owned by beer giants Singha beer, mixing traditional Asian and Western flavours together to create an inspiring creative menu. 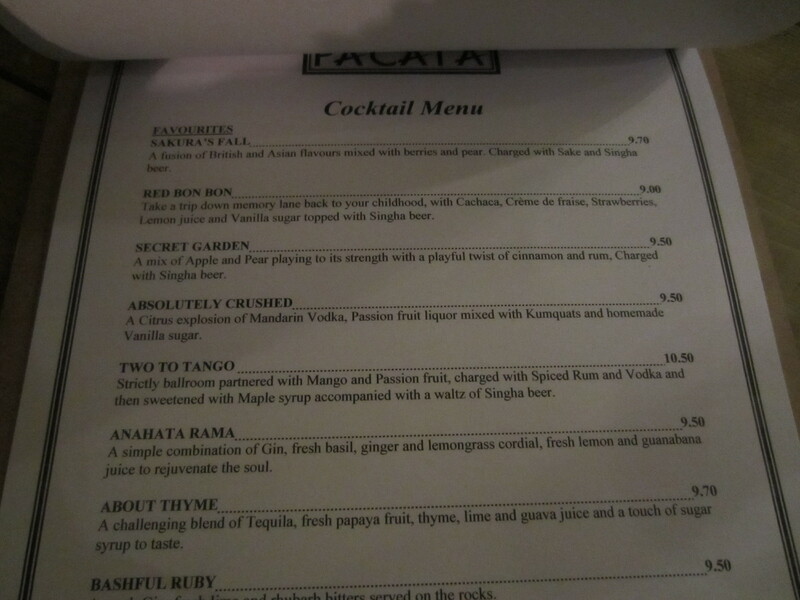 I was so glad to come to Pacata by accident, located in the heart of Covent Garden, along New Row, the menu is designed by Michelin starred Yasuji Morizumi. 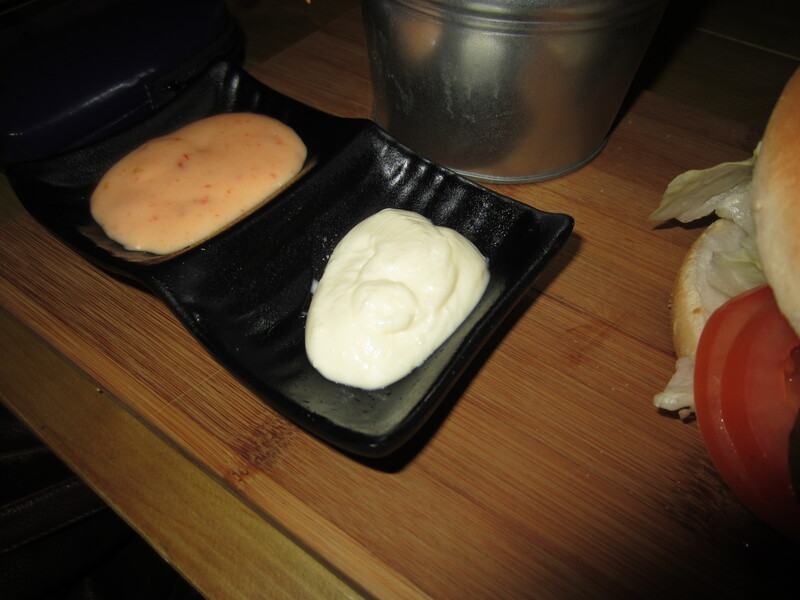 My friend and I began our meal with a section of bar snacks, £4 each or 3 for £10. The server urge us to try the popcorn chicken, and my oh my it did not disappoint. Of course we had to order a few cocktails to go with our meal, some were even had Singha beer mixed into them. Delicate succulent pieces of golden brown chucks of chicken, coated in a light batter, I could taste the ginger and garlic flavours. The dish was heavenly, juicy and packed full of flavour in tiny bites. 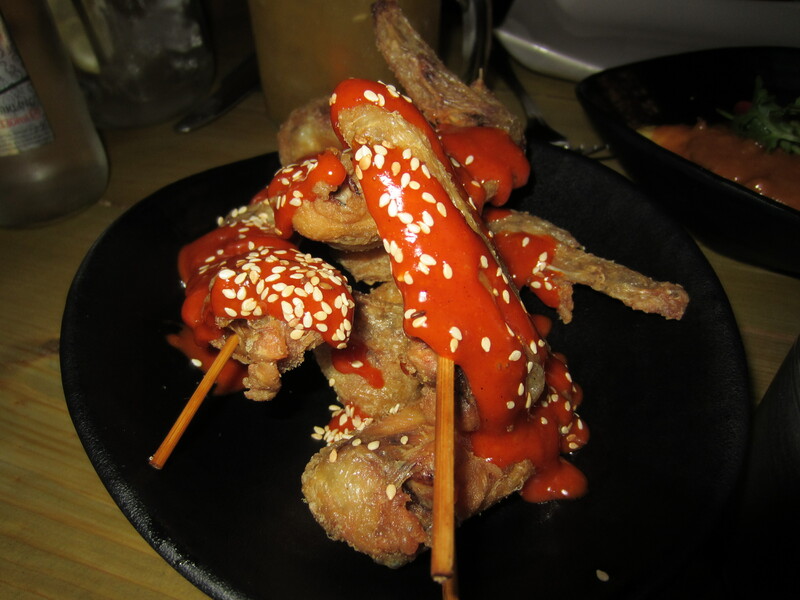 Chicken wings with Korean sauce, is exactly how it is described, similar to Korean fried chicken. 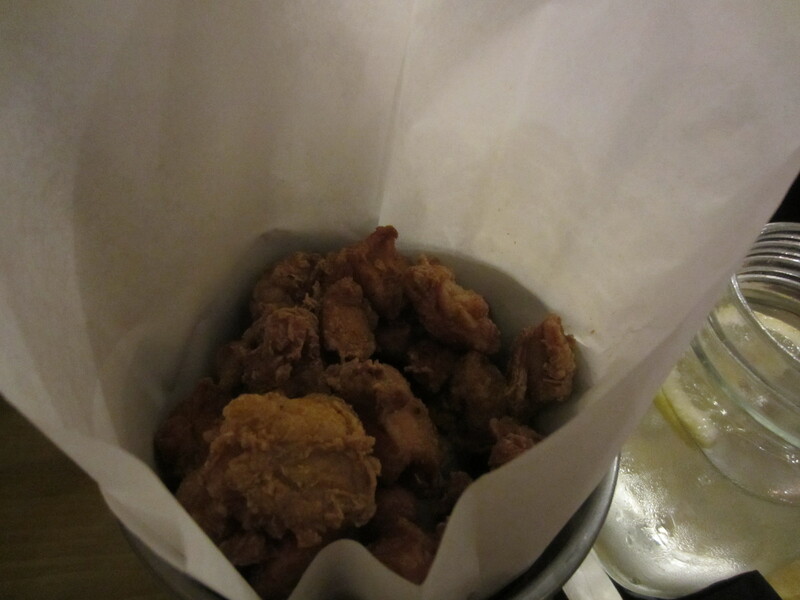 The wings are deep fried until its super crispy, smothered with Korean chilli sauce. 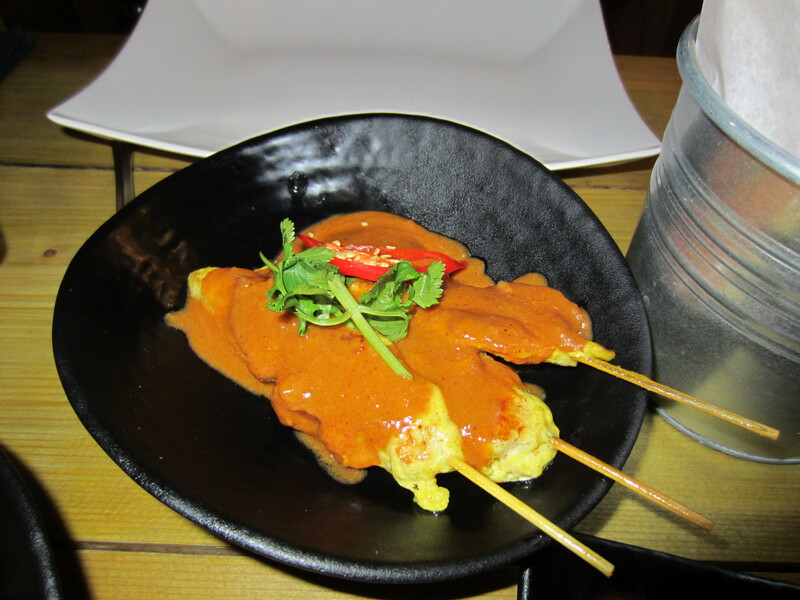 The chicken skewers came in a morsel size, covered in a super creamy coconut peanut sauce, it went down well. 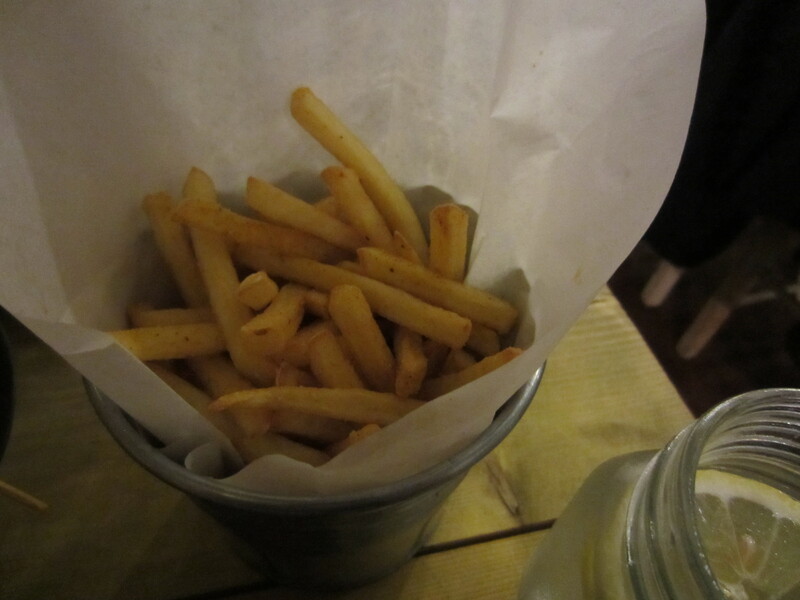 The French fries was a simple dish, lightly dusted with Tom yum powder flavour. 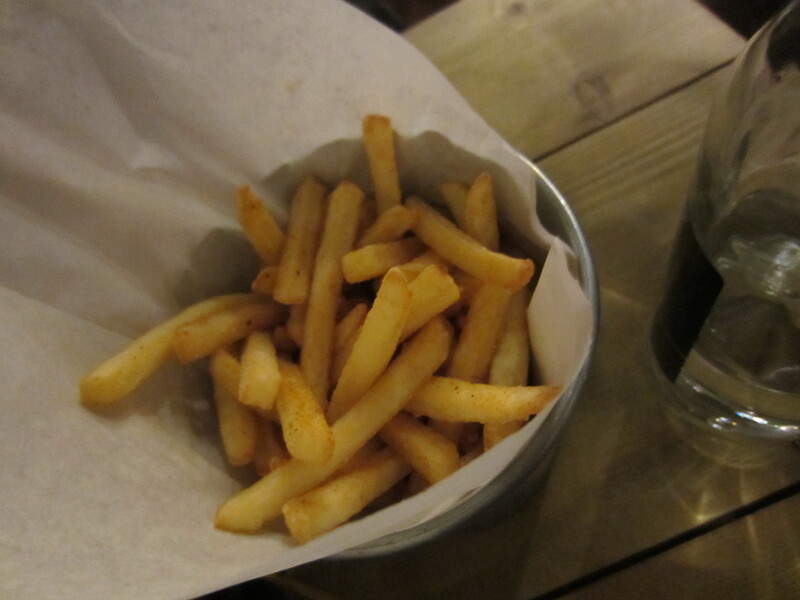 The bar snacks, so far impressed my guest and I, the portions was way worth the £4 price tag. 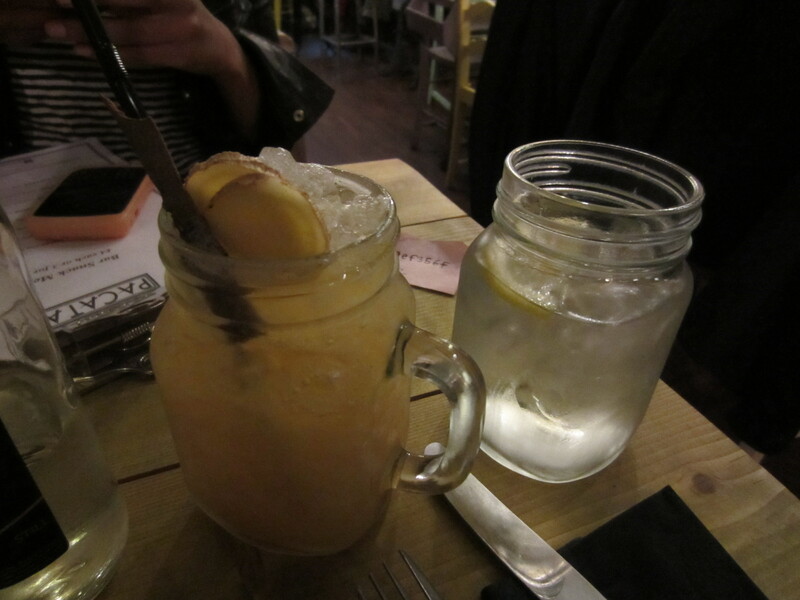 Our mains were also superb, the staff was persistent we try the signature dish Pacata pasta. 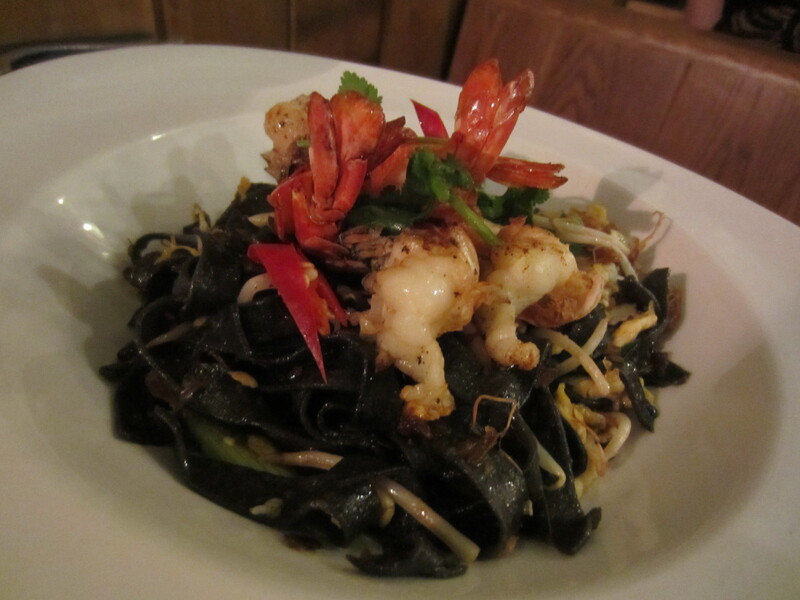 A brilliant take on Pad Thai with a twist, instead of flat rice noodles, it came with black quid ink Taglietelle, served with king prawns, bean spouts, tofu. 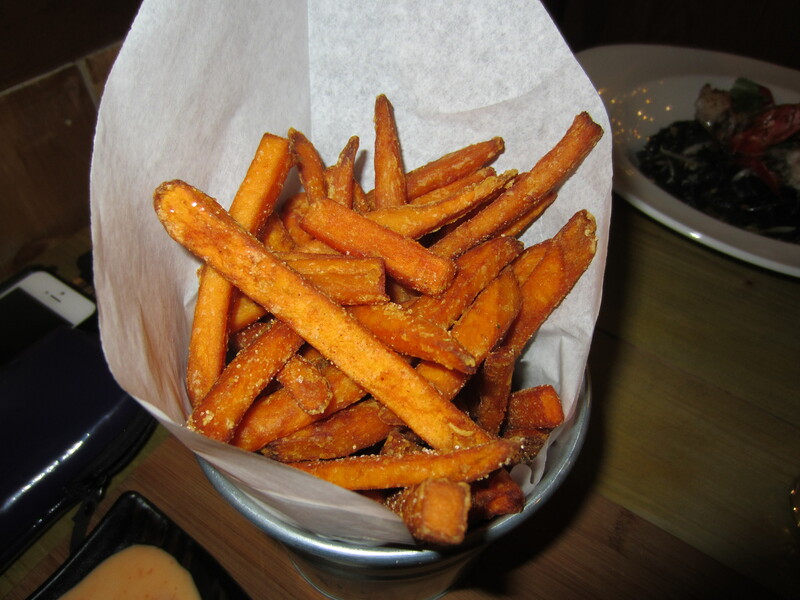 Imaginative dish, and delivered their concept of Asian-western fusion. 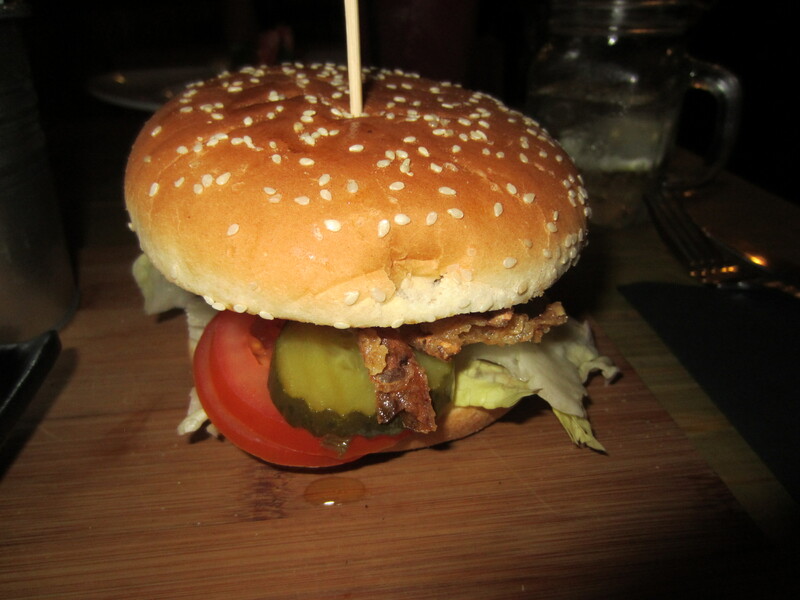 I saw soft shell crab burger on the menu and immediately ordered one, although I wasn’t a big fan of the bun, the soft shell crab, was cooked without a drip of grease coming out, served with a dollop of chilli mayo with a choice of either French fries or sweet potato fries. 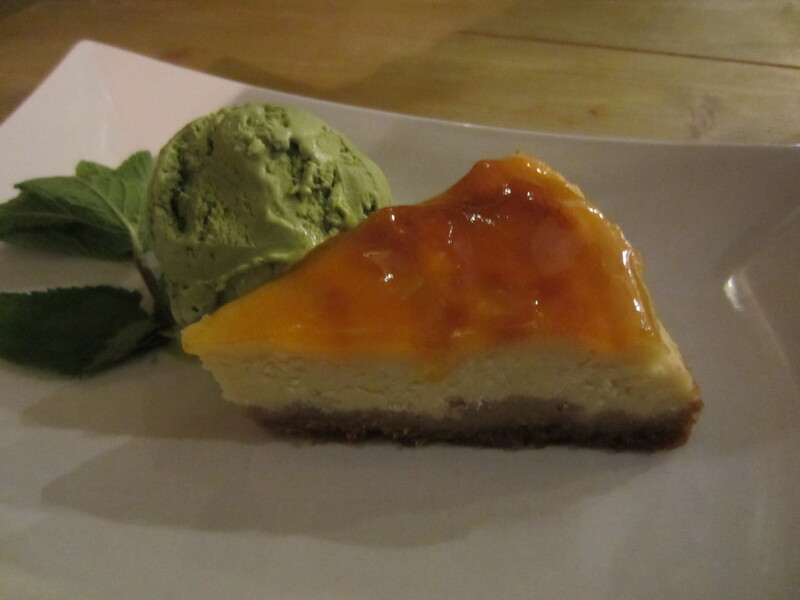 We finished off with desserts to end our perfect meal; I opted for Japanese Cheesecake served warm with a scoop of green tea ice cream. A lighter alternative to the usual cheesecakes that is too heavy on the stomach. The green tea ice cream could have done with more matcha flavouring, too icy and no real flavour. 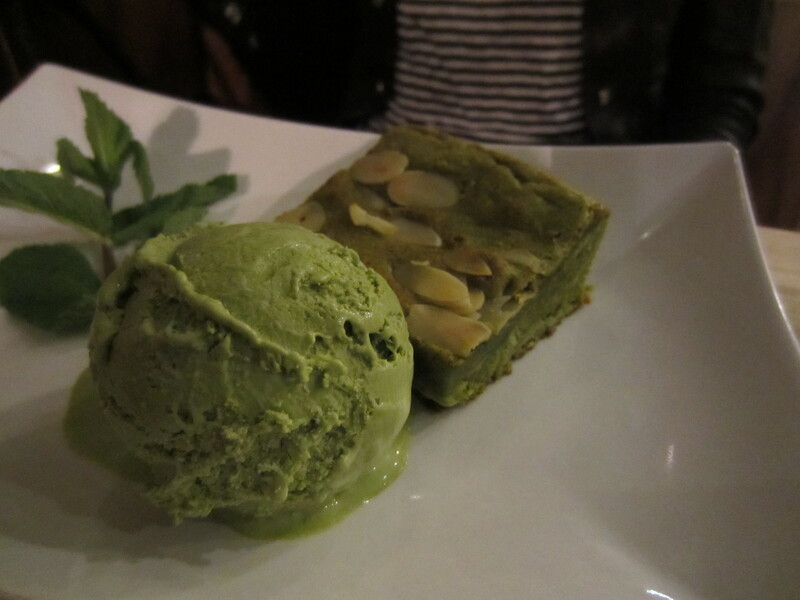 The green tea brownie was nice and fluffy, topped with toasted almonds; again it wasn’t too heavy or rich. 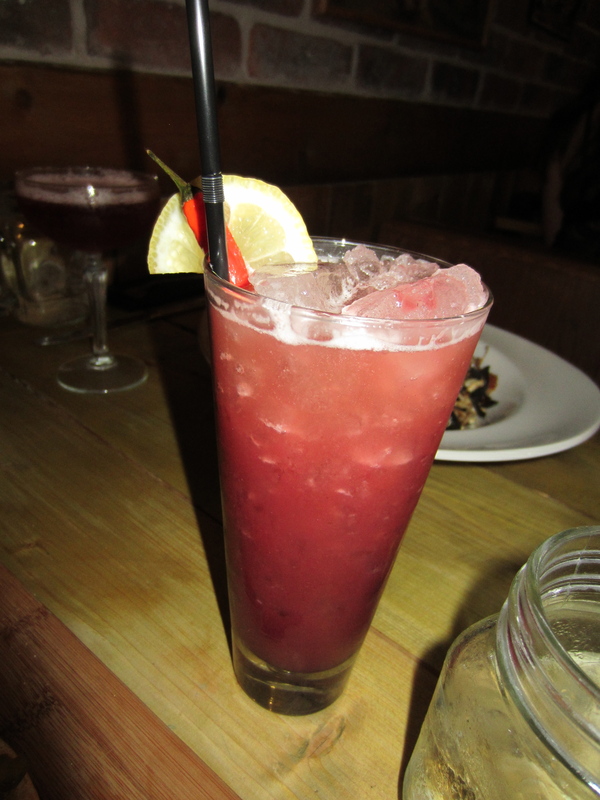 I absolutely enjoyed my time at Pacata and would not hesitate to recommend to everyone. The popcorn chicken and Pacata pasta were extraordinary. 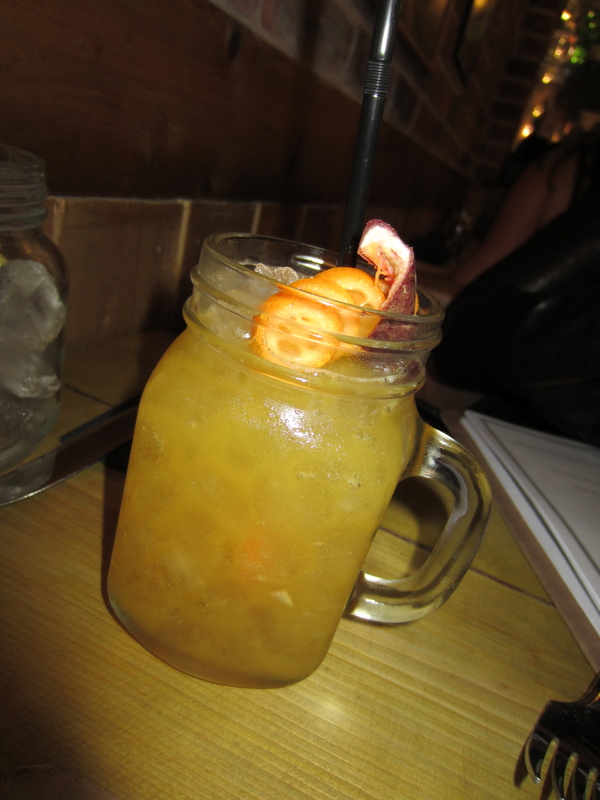 Cocktails were also good, creative with Asian inspired flavours.